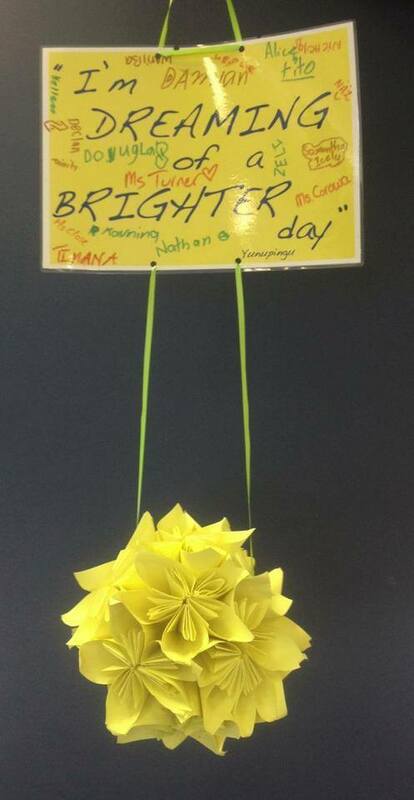 Below: Kusudama ‘sun’ created by my Yr 4/5 80% indigenous class on a 2013 prac placement, in the week following Yunupingu’s death. History/art/literacy/indigenous Aust/Asia integrated collaboratively and authentically. This entry was posted in Indigenous Australia and tagged art, Asia literacy, collaboration, commemoration, dreaming, history, indigenous Australia, music, origami, sun, treaty, Yothu Yindi, Yunupingu on August 31, 2013 by letletlet.